DETROIT -- Audi executives showcased a bit of the brand's near and long term future with two global debuts here at the Detroit auto show. 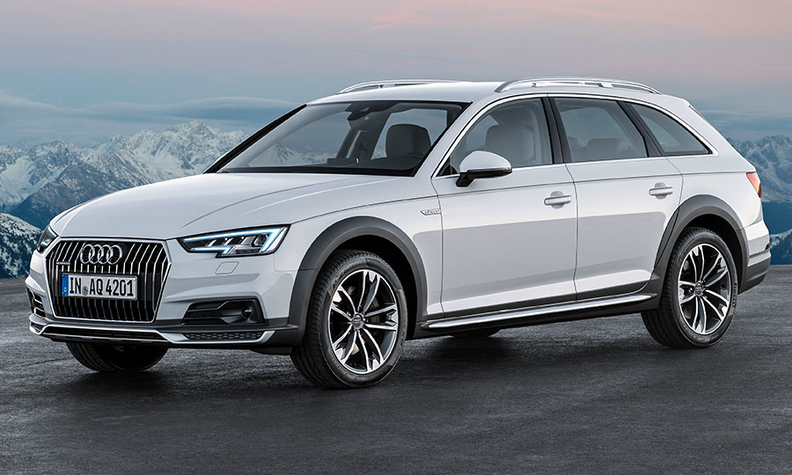 Audi revealed the 2017 A4 allroad ahead it its U.S. launch planned for later this year. Also revealed was a new hydrogen fuel cell concept crossover, dubbed the h-tron Quattro. The concept its Audi's second hydrogen fuel cell vehicle concept but its first to wear an all new body, in this case a sporty small crossover with elements seen on the e-tron Quattro concept shown at the Frankfurt show. 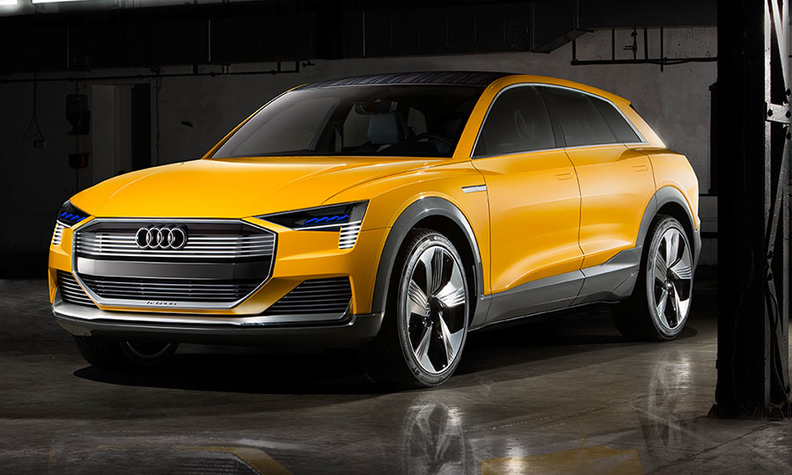 The h-tron concept suggests Audi is working on hydrogen fuel cells in addition to the battery electric vehicles that have gotten the most attention recently. The h-tron concept suggests Audi is working on hydrogen fuel cells in addition to the battery electric vehicles. But Audi seems further along with its battery development. Audi CEO Rupert Stadler said the company will launch three new plug-in hybrids over the next three years, in the A6 sedan, A7 sedan and Q8 crossover coming in 2018. Stadler also said the next generation A8 flagship sedan will be the first vehicle to include Audi's Piloted Drive autonomous technology when it launches in 2017.